This year marks the 70th anniversary of the Empire Windrush. In this article we have included three headings, which not only highlight the journeys of those who arrived on the Windrush, but also draw comparisons to our own experiences of a multi-racial Britain. To stick with current metaphors, just as the moon effects the tides of the seas. We have found that the concept of justice and a strong faith, has always pushed us to strive for equality for all. This has been the constant source of our struggles over the years as we strive for peace, harmony, love and compassion. Our faith and experiences in life are what have given us the determination to effect change for the Church and society where the love, good news of the gospel of Jesus Christ is lived and honoured. We have always drawn strength from our faith, we believe that many black people have and do, dating back to singing hymns during slavery times. Worship makes our spirits strong which allows us the ability to shine. In June 1948 the Empire Windrush began its journey to London, leaving port from Jamaica, carrying predominantly Jamaicans as well as others. Our father originally intended to board the Windrush. He received his British passport, had bought his ticket and went to the docks, where once at the gate, he turned around and headed back home to our mother. Thank God he changed his mind, as perhaps we would not be as we are now. Mike and Trevor Phillips, in their book Windrush, comment that although black people were present in Britain before the ship set sail, it was only really after the ship arrived that a collective identity of black people was created in Britain. “There have been groups of black people living in Britain long before this. Slavery and the vagaries of imperial adventure deposited substantial numbers in various parts of the country. By the time the Windrush arrived there were already black communities who could trace their ancestry back a couple of centuries. But on the 22nd June 1948 the Windrush sailed through a gateway in history, on the other side of which was the end of Empire and a wholesale reassessment of what it meant to be British. Before and after this historical moment, even simultaneously, the same kind of arrival was occurring in various other parts of the world, as settled populations shifted, driven by one kind of necessity or another. In the last half of the twentieth century this experience seems to have become universal, almost routine, and wherever we now travel we encounter over and over again the moment of Windrush and the infinite variety of consequences packed within it. The echoes of migration vibrate everywhere we can name: the USA, Germany, France, Holland, Portugal, Spain, Italy, the Middle East, the Pacific Basin, anywhere in Africa, and in any territory in Europe east of the Oder”. There will be numerous celebrations of this historic anniversary both civic and religious. Our own churches will be celebrating Windrush 70. 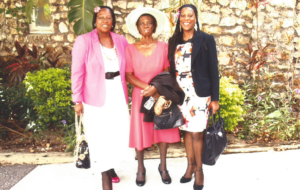 We may not have arrived on the Windrush, yet through talking with some of the older generation who did, and some from before the Windrush, we learnt that their stories and ours are not dissimilar. Jamaica is part of a group of islands known as the West Indies strung throughout the Caribbean Sea, which starts from the southern tip of Florida to the north east corner of South America. This tropical island, with its natural beauty, is the second largest in the region. It was captured by the British Empire in 1655 and remained under British rule until its independence on 6th August 1962. The island was populated by Africans, Europeans and indentured labourers and traders from India, China and the Middle East. The spoken language is English, Patois a local language (Pidgin English). Spanish was learnt as a second language and is also taught in schools, owing to the fact that the island was under Spanish rule until it was captured by the English. To this day, particularly in St. Catherine, there are prominent buildings including the Cathedral Church, (our own parish church), of Spanish heritage. The nation is multi-racial and values its crossroad of people, cultures and languages, The Jamaican motto is based on its diverse population “Out of many, one people.” Across the globe the Jamaicans are renowned for their strength of character, no nonsense approach and straight talking. Those who have no awareness of the culture find the laid back “no problem” attitude frustrating. Jamaicans are a nation of fair minded people who loathe injustice, are always up for a challenge, not easily fazed and are hard working. Religion has a high priority in the lives of many Jamaicans, steeped in scripture and tradition. It is often said by visitors to the island every street has a church and a bar. The late forties and early fifties, saw a mass migration of West Indians to Britain. Due to the colonial influence on the Island. Many Jamaicans saw themselves as British. England was always regarded as the mother country, and so they felt they were coming home to mother. Most of them went to live in the inner city areas, and because their religious heritage was Anglican, it was only right and proper to attend a Church of England church. Kenneth Leech comments in Struggle in Babylon, that “They encountered the C of E as a body with which few of the indigenous white working class inhabitants had any real relationship.” The perception of the C of E by white working class people was that it was middle class and the perception by the black immigrant community was two-fold, white middle class and racist. Our story is similar to others as found in the book Windrush. Coming from an Anglican church we went to join a church in Blackheath and were politely told after the service by the vicar to go to the Pentecostal church down the road, as one had opened up there, and we would be most comfortable there. His congregation was not happy with us being there. Suffice to say we didn’t go to the Pentecostal church we kept going to the same Church of England church. 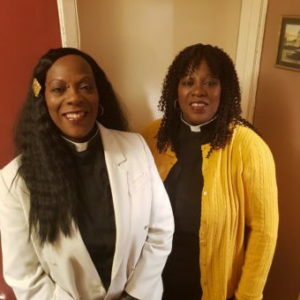 Recently we attended a Church of England church and were told, “perhaps it would be better for you to attend the Black led church as this church does not have black people coming here, and some of the members are upset by your presence in the church”. The Caribbean Anglicans feeling of utter rejection by the Church of England, has left a bad scar for some, many could not fathom that the church, a place of worship and spiritual support was capable of such prejudice, they were often told “you are different from us”. For many Caribbean’s this dismissal from the Church was heart breaking, no sooner had they arrived with an idealised sense of optimism that they could join and worship in C of E church in the mother land, only to be told that this was not just unacceptable but discouraged. The embattled Caribbean’s with low self-esteem and with feelings of constant rejection by society questioned their place in this new land. With many questioning their religious beliefs and Christian doctrine. Which ultimately led some to create new churches where they would feel welcomed to some to simply leave the faith all together. Which in hindsight is a terribly sad story. Riding the waves we continue as pastors to educate and empower that sense of belonging to all members of the church, from all colours and backgrounds. The sense of what it means to truly belong, know your identity who you are as an individual. We seek to help bring much needed changes to a Church, where in our view, a sort of colonial attitude still resides. In which an agenda is set that must not be questioned only obeyed and is not welcoming of change. The Church of England has seen an increase in the numbers of minority ethnic worshippers. These members are actively involved in the ministry and mission of the church. Yet there remains no black female role models in senior leadership for the young members to aspire to. We often talk about being wary of positive discrimination, which is sometimes not helpful and can have negative connotations for black leaders. As sometimes black people believe they always have to work twice as hard to achieve by merit. It causes further negative connotations when, some people look down on black people in servant roles because they think or believe the standards have been lowered to accept them. It does not matter how qualified or educated the person is, as they were picked simply as a token. However In some fields it can be a necessary evil. If it is to be used then it must be ensured that the black candidates are the optimal candidates for the job or post. No more appointments should be made in order to just tick the box and crunch numbers. Especially so that our young people can believe in themselves and be confident in their abilities, instead of having the gnawing doubt that they too were only picked to tick a box. There also needs to be a greater awareness of what unconscious bias really means. Too many BAME, (black and minority ethnic), people have internalised racism. Meaning that they have abandoned their integrity at the door, in order to prove they have what it takes to be part of the club. Therefore forgetting the history and the struggles of their heritage. Which in turn makes them adversarial to other people from the same heritage, who they view as upstarts or trouble makers simply because these trouble makers haven’t accepted what it takes to be part of the club sometimes means making compromises. However we believe that integrity is something that can never be compromised. Referring back to our young people, the root causes of knife crime amongst black youth, which is predominantly black on black crime, needs to be looked at and addressed. It seems to be harder for black people to let go of internalised racism. In these days, many people are feeling a different type of fear that is hard to break free of. There are so many new things to be afraid, many of which were not as common in the earlier days. Many of which concern us as we will have to leave our young people to deal with. However we should not let fear overcome us. We must remain strong. Violence and crime seem so much more prevalent now than before. It is easy to say that we have come a long way, but we still have a long way to go. Yet how do we move on? Maya Angelou said, “to arrive you have to have been”. Too many of our young people do not know who they are or where they have been. And as a result, they do not know where they are going. It is our job to teach them values, show them the way, to prepare them for the future and enable them to set goals. We need to teach the generations now and those coming up to have respect for themselves. If you have respect for yourself therefore you will have respect for others. Do not throw away your integrity. If you lose your integrity you lose yourself. In essence it is a truth, that some of us sadly may not see the overcoming of such fears in our lifetimes, however this does not mean that we should abandon the cause, succumb to fear and lose hope. For just as we look back on previous generations and learn from their struggles, so too will the next generation look back and learn from ours. We have seen this, this growing spark in the young people in our lives. Which has often renewed our hope in the future. The current Church has a model of leadership which everyone must fit into, there is no room for flexibility. However one size does not fit all. The church needs to be creative, innovative to be seen to be fit for purpose especially in today’s society. The Church often talks the talk but does not walk the walk. Windrush enabled black people to tell their own story. The Caribbean people need to write, know their history and not let the others, who were not present dictate the agenda. Prejudices are based on ignorance and assumptions about people we don’t know. How else can we combat prejudices, the ignorant patches? People need to be aware of their use of words. The power of words influences others, words are the testimony of people telling how they have been treated and how they treat people. Britain have the opportunity to make people safe and welcome. From the early 20th century, Britain was suspicious of new groups of people, the suspicion dictated how these people were treated. Things have improved for black people since Windrush, but we are still being treated unequally. Many subtle customs and practices continue to discourage BAME people and make them feel they do not belong or cannot be present at the table. Until everyone can enjoy the same opportunities, people cannot be equal. Black people most importantly need to learn to work together and to learn from the past. For it takes cooperation, determination and perception to make progress in our struggle for equality. Decades on we are in some ways divided, if we could concentrate on the causes that most people benefit from, it would be better. For some causes we are one and for others we are not. We must learn to work together. “No one can effectively fight for justice alone”, Rosa Parks. Children when playing know when they are being cruel. Their words of, you can’t be part of our group. You are not allowed to play with us, and you are an outsider. We are to teach each other to use words nicely. To have respect for humanity, to make the invisible people visible. We are to be all inclusive. We must think how we use our words to one another, and as Thurgood Marshall says, most importantly we must reflect on the “intent behind our words”. Bridging the gap. The millennium bridge sways as you walk on it. Sometimes it cannot be used and has to be closed. Natural elements are the obstacles for the millennium bridge. The obstacles that block or prevent the flourishing of BAME are man-made. They can be fixed, we need to fix it and let it be stabilised. So the bridge becomes stable, and can be used to walk across. We recognise racism will not be evaporated immediately, but cultural awareness, differences, tolerance, peace, love, and respect for humanity, will work for the good of all. “It is better to teach and live equality and love than it is to teach hatred. I would like to see everyone living together in harmony peace, and love, not dwelling on the past. It is time to move forward”, Rosa Parks. We have a long way to go but we need to keep hope alive.